We’re here to say you can have your cake and eat it, too, Dallas. Or for that matter, your pie, cookies, ice cream, or some yet-to-be-discovered combination of them all (the state fair needs to make this happen). Leave room for these 12 desserts, one of which is whiskey cake. No, not you, the pie! So much for walking off a few calories after dinner while in Bishop Arts since any walk invariably ends at Emporium Pies. 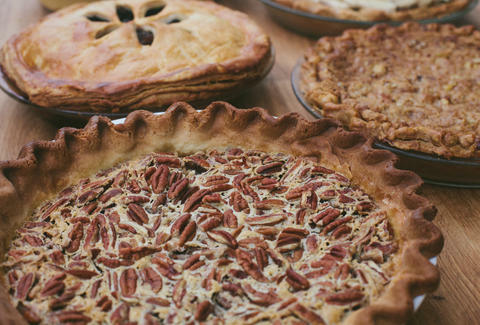 The Drunken Nut is an elevated version of a classic Texas pecan pie. "Elevated" meaning it’s loaded with pecans, bourbon, brown sugar, and butter. 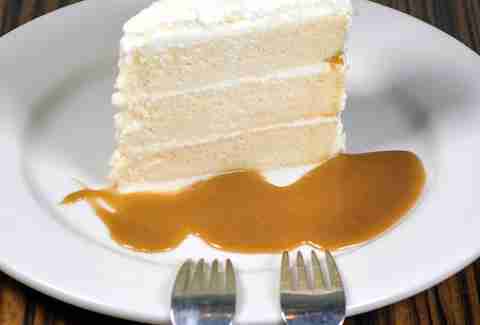 Tres leches cake is a Tex-Mex standard, so quatro leches cake took things a notch further. Now we have reached the ultimate decadence of cinco leches cake. Since we’re keeping count, that brings it to a whopping five versions of milk in a single cake -- whole milk, heavy cream, evaporated milk, condensed milk, and dulce de leche. We’ll just say it’s good for your bone health, as well. Sure, there are plenty of great places to have dinner in Trinity Grover. But when the server asks if you saved room for dessert, you’ll want to politely decline and walk straight to Cake Bar, because a slice of Key lime cake is waiting. 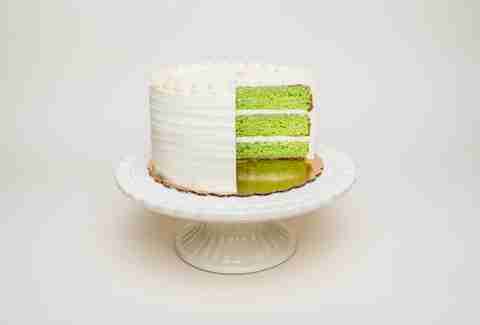 It bakes the traditional flavors of key lime pie into a impressively green slice of made-from-scratch cake. What’s in a name? Well that all depends, except when the name is Whiskey Cake, in which case everything is in the name. 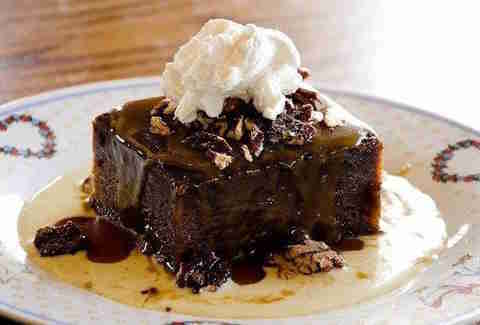 This namesake cake is a knockout punch of toffee torte, spiced pecans, and a bourbon anglaise. 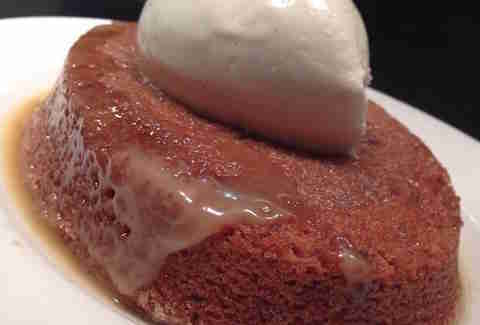 A designated driver might be necessary after a slice of this cake -- not from of the bourbon but the impending sugar daze. 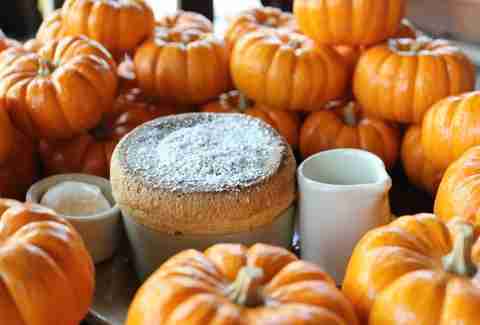 Just when we thought that pumpkin couldn’t possibly be infused into another aspect of our lives, the soufflé connoisseurs at Rise Nº1 come along with their seasonal pumpkin soufflé to prove us wrong once again. It turns out there is no end to the ways pumpkin can be added to something and make it awesome. The mango sticky rice smash at Malai Kitchen is equal parts beautiful and delicious. 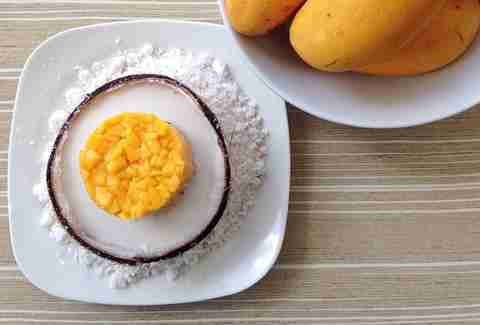 Deconstructed layers of sticky rice, crisped rice treat, and mango sit in a bath of cool and refreshing coconut milk. 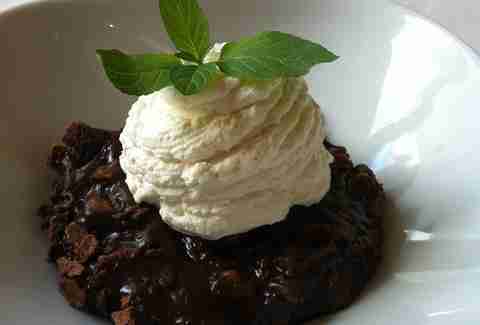 To call the chocolate glob a molten chocolate cake would be an insult. This is more of a chocolate implosion topped with a dollop of whipped cream. The fact that the Chocolate Glob is both crispy and gooey seems to defy nature. What’s camping without a campfire? And to that end, what’s a campfire without s’mores? 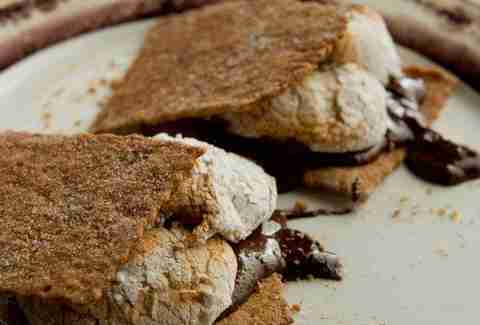 Wouldn’t you be more excited for s’mores if it didn’t entail sleeping on the ground? 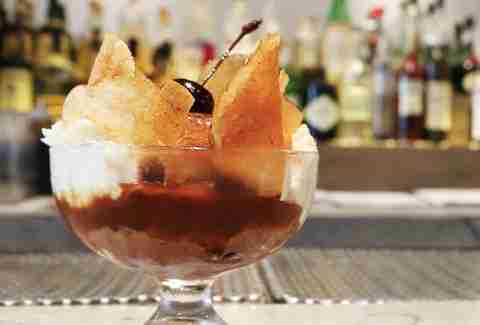 Tillman’s Roadhouse has the answer to all these questions: tableside s’mores. Trying to pronounce it is the hard part (gala-ko-boor-ee-ko). 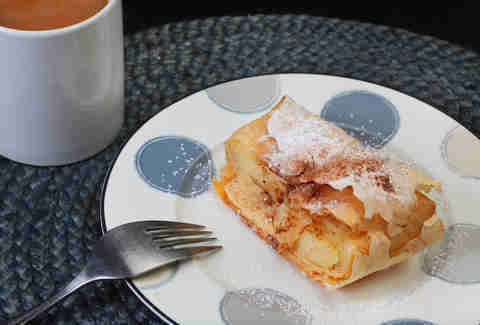 The easy part is enjoying this honey- and cinnamon-covered flakey phyllo, layered with orange-infused custard. Opa. The dessert doctors at Remedy honestly believe that the answer to all of life’s problems lay somewhere between the dark chocolate ice cream, caramel, and whipped cream of “The Bob” ice cream sundae. We would have to agree. It’s warm. It’s sticky. It’s toffee. It’s cake. Need we say more? 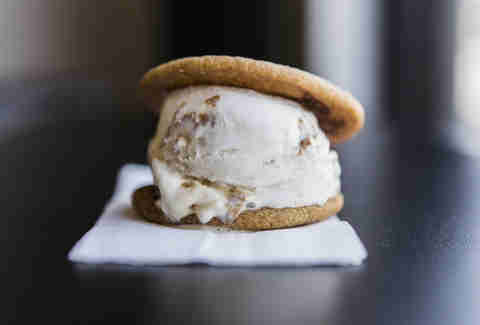 The combinations of cookie and ice cream are practically endless, as is Coolhaus’ creativity with their flavors. Recommending just one pairing does not do their “architecturally inspired” ice cream sandwiches justice. Try a wild combo, perhaps Red Velvet cookie with Maker’s Mark ice cream, or something a bit more traditional, say, chocolate chip cookie with vanilla. There are no bad decisions at Coolhaus. Hayden Bernstein is a Dallasite by way of Dallas, feels warm and fuzzy when he sees the 'Green Building,' and becomes confused when it's not green.